Winner of my New (Blog) Home Giveaway! I always checked in on your former blog; this one looks great! Just signed up to follow you; thanks for the chance to win. Big congrats, Kathy!!! Please send me an email with your shipping address and I'll get the 3 Hero Arts stamp sets out to you as soon as I can! I also want to thank all of you who've 'followed' me to my home. I so appreciate you coming to visit and the comments you leave. Thank you all so very much! I'm back with another Simon Says Stamp Challenge!!! I love this Hero Arts 'It's a Parade' stamp. It seems so celebratory to me. 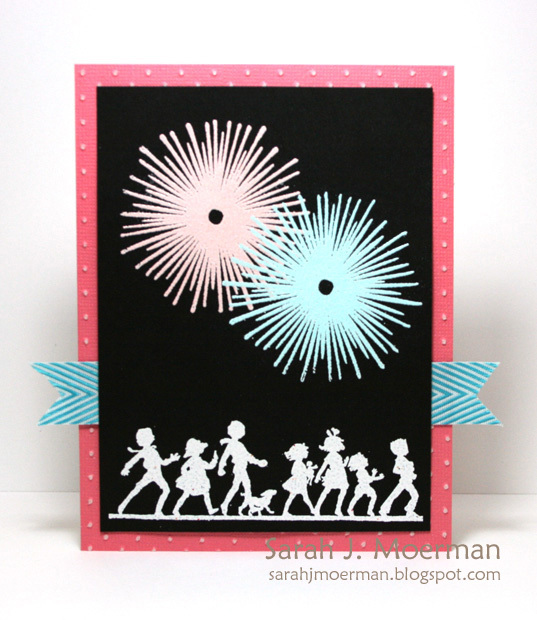 I also used Hero Arts 'Single Starburst' stamp to create fireworks. Nothing says a patriotic holiday to me more than fireworks. 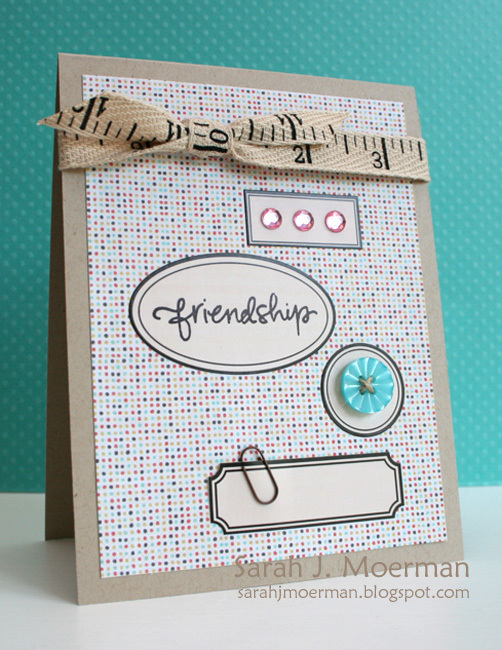 I used Cuttlebug's Swiss Dots embossing folder on the pink background. 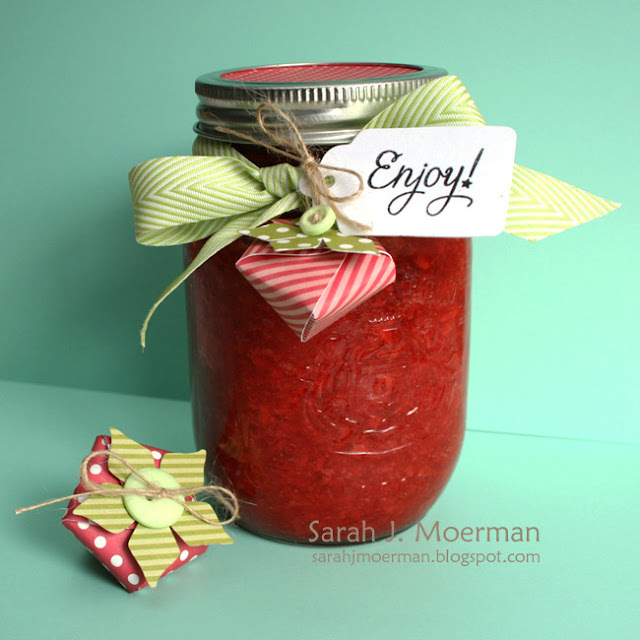 I hope you'll join us in this week's challenge! 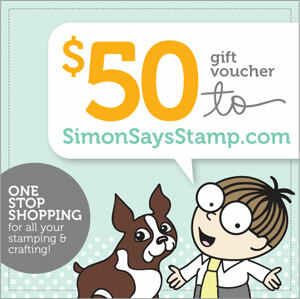 Up for grabs once again is a $50 gift voucher for the Simon Says Stamp store. For all the details and to see what the other designers have come up with go HERE. I have a couple of things to share today. First a card I'm entering in the current Casual Fridays challenge. The challenge is to use acetate or vellum and I decided to make an acetate window which I then stamped with black Staz-on and coloured in with permanent markers. Sorry about the bad picture. It was cloudy day when I took it. ....and the winner as chosen by random org is #22! Krista Ritskes said...I'm getting in under the wire. 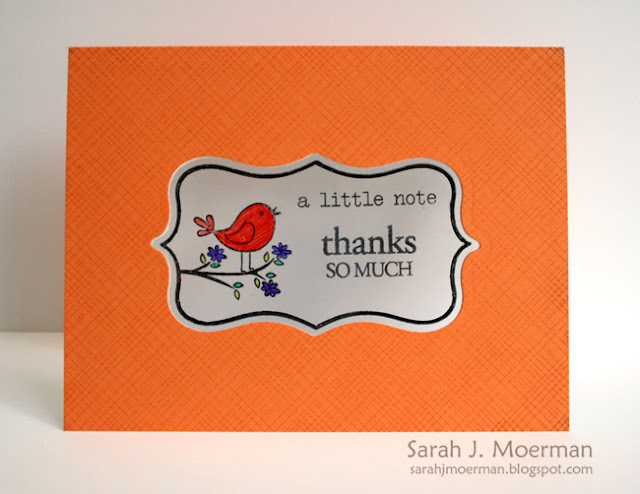 I LOVE your cards, so sweet. Congratulations Krista!!! 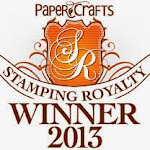 Please email your address and I'll pass it on to sweet Heidi of Simon Says Stamp so she get your prize out! Thanks everyone for stopping by today! Remember I have another giveaway going on HERE. I had so much fun with with this week's challenge and can't wait to see what you all come up with. 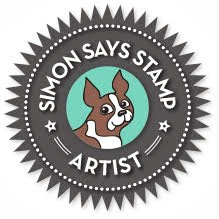 :) As always, the wonderful Heidi is giving away a $50 Simon Says Stamp gift voucher. I hope you'll play along with us this week! 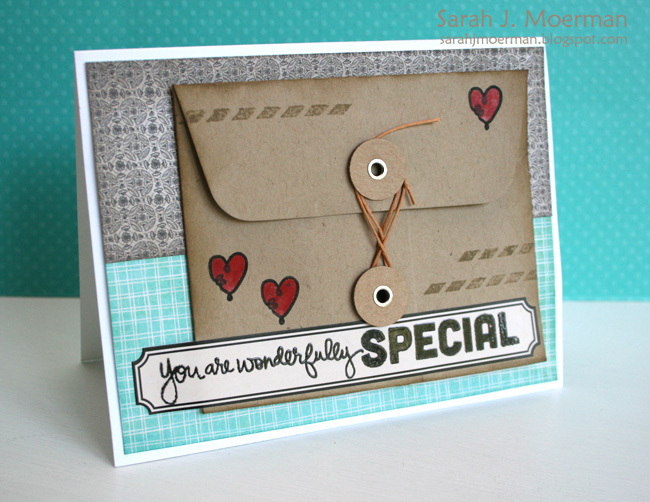 Today, however, I wanted to share another card I made using the Simon Says Stamp July Card Kit. I thought I'd use some of the label stickers to highlight the embellishments that came with the kit. It was a nice, quick card to put together. :) Thanks for stopping by! I'm stopping by today to share some VERY exciting news! For the second card I took the left over bottom piece of the kraft envelop and finished up the top to make a new flap before sticking it on a 4.25" square card. 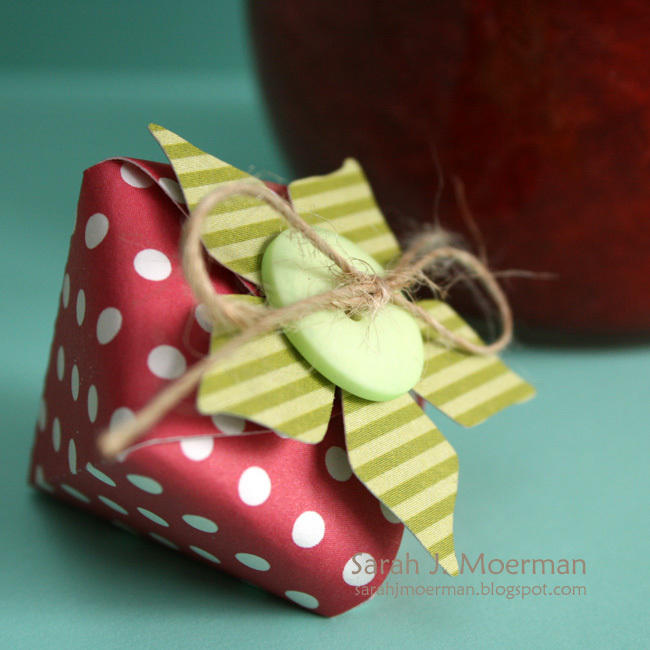 Again, I think it would be fun to write a person message and put it in the envelope. (The black/white twine is from the June Card Kit). Just leave a comment on this post by next Wednesday the 20th at mid-night and I'll pick a winner. As always, that's for popping by!